It's always nice to be able to summarise your site's activity: average visitor counts, which search engine terms are finding your site, the browsers your visitors are using, and so on. You can view all the collected statistics using charts. The administration module resides in Admin Zone > Audit > Site statistics. Be aware that hits coming from the web server itself will be filtered from the stats, so if you are running a web server on your own computer you may not see any results if nobody else has used your website yet. Do not disturb the geolocation data installation process. You will be informed when it is complete. Once the geo-location data is installed, all the extra statistics can be used. This statistics screen shows a graph of the view counts of different pages, with a text-listing of the same statistics below, with links to per-page breakdowns. 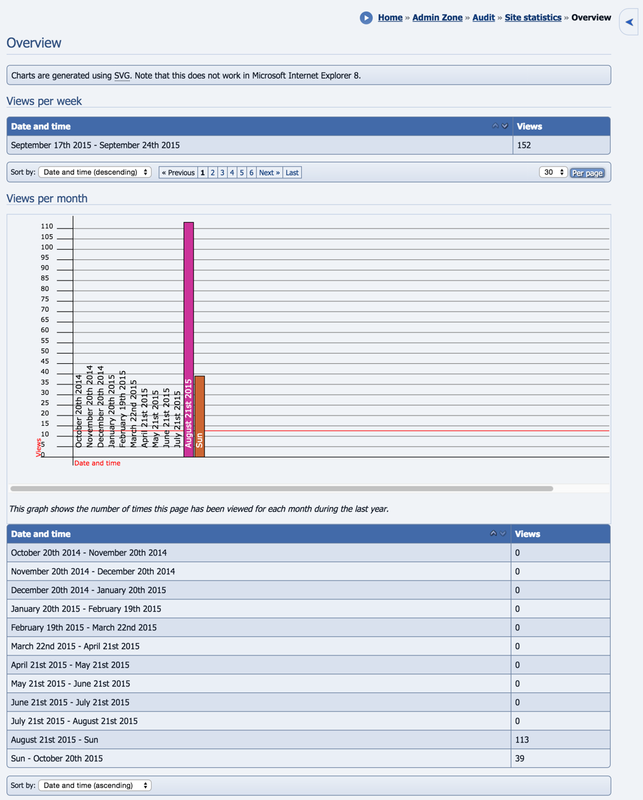 The graph displayed is a bar graph, and orders pages from highest to lowest view counts. Such data is invaluable in working out how popular each page on your site is, which can point to problems with some pages. 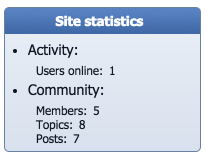 This statistics screen shows a line-graph of the number of users online for each day, with a text-listing of the same statistics below. Such data can be used to analyse when greater or fewer numbers of people come to visit your site. Please note it can only detect when user online records are set, not keep a constant track – i.e. you will see increasing peaks, but will not see if it goes down. This statistics screen shows a line-graph of the number of submissions for each day, with a text-listing of the same statistics below. Such data can be used to analyse when (and why) people submit to your site. 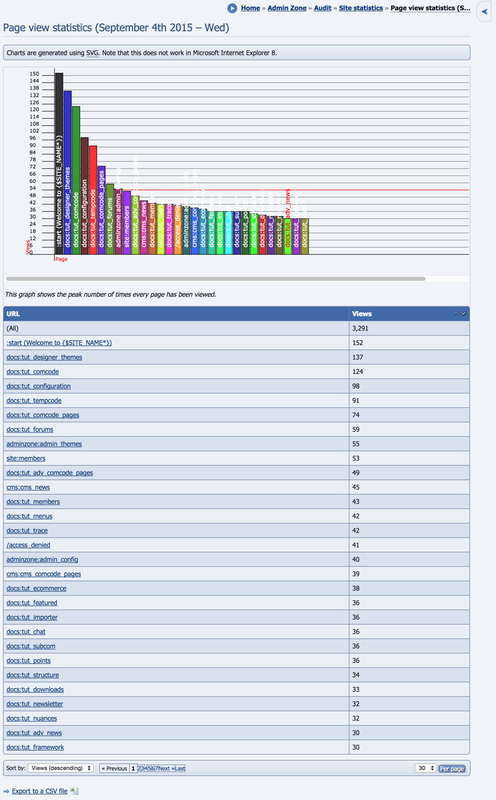 This statistics screen shows a pie chart of the top referrers to the site, with a text-listing of the same statistics below. Such data is invaluable in finding out where to get your site advertised, which advertising schemes aren't working, etc. This statistics screen shows a pie chart of the top Google keywords used to find the site, with a text-listing of the same statistics below. Such data helps you see how to refine your website to be better in tune with what people are searching for. 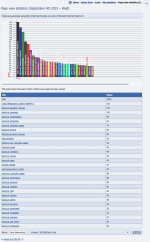 This statistics screen shows a bar chart of how long each page (at minimum) takes to be generated and outputted. This is useful for optimising your site; finding bottlenecks and jams, where things could be spread out more (e.g. putting fifteen blocks on different pages, instead of the same one). You can also pull out key downloads for the benefit of your visitors is to use one of the download blocks: most popular downloads, and most recently-added downloads. These are explained below. All content will automatically store download/view statistics as appropriate, which will usually be displayed on the respective entry screen. An example of this would be news entries: each news entry records how many times it is viewed, and displays this number on its view screen. 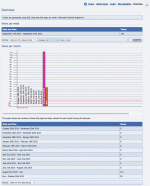 The side_stats block shows various figures that relate to your website's activity and archive size. The exact details shown are configurable (in the main Composr configuration) from quite a wide selection. 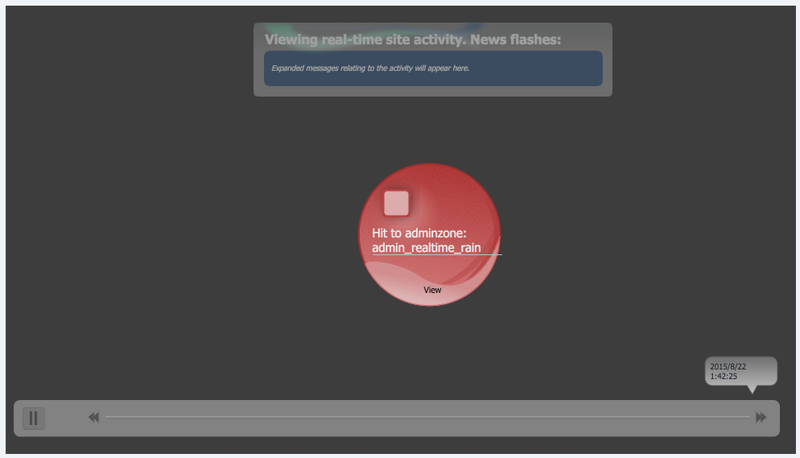 Show a real-time/historic animation of activity happening on your website. It is a good way to visualise how people are using the site. This works best when the site has multiple online users performing options, but you can move the timeline back to when stuff was happening previously (i.e. view activity from a historic viewpoint). Google Analytics is an excellent free package for analysing website activity, allowing you to spot all kinds of trends in your data. We don't consider Google Analytics a competitor to our own inbuilt analytics – both offer different features, complementing each other. Google Analytics is easy to install, we have support built-in so you just need to enter your analytics code in the Composr configuration. Scalable Vector Graphics, a text-markup-based graphics format that allows infinite scalability of graphics without texture loss due to being vector-based (co-ordinate-delimited shapes) instead of pixel based (specific data for each pixel). The process of using some type of individually-identifiable information to find out where in the world somebody is. Have a suggestion? Report an issue on the tracker. Copyright © ocProducts Ltd, 2019. All rights reserved. Composr was formerly known as ocPortal. Did you know? Composr is designed for both professional & personal use. New ideas for pros & the best features for amateurs.